This year, Terabit.ca will be participating in the HOPE Volleyball SummerFest on July 14th at Mooney’s Bay Beach. We couldn’t be more excited to be a part of this wonderful event that has such a positive impact on the community. HOPE Volleyball SummerFest is a beach volleyball tournament in Ottawa that brings together more than 20,000 individuals to support various charities each year. Over the years HOPE has donated more than 3.5 million dollars to over 100 charities. While the Terabit team members are by no means volleyball superstars, we’ll take any chance we can to hang with the Ottawa community and support important charitable organizations. By participating in the tournament, Terabit, along with hundreds of other teams, have helped support these charities. However, we are hoping to raise as much money as possible for these 6 charitable organizations. If you are interested in supporting these causes, please follow the steps below to help Team Terabit collect more pledges. Any contribution, no matter how small or large, is greatly appreciated. 1. Click the link here! 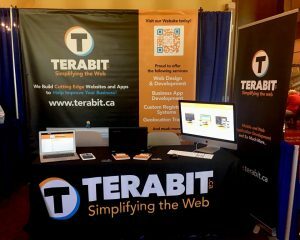 Terabit.ca thanks you for your support! This past week, Terabit attended the 2018 Canada’s Building Trades Union Conference in Gatineau, Quebec. Terabit has been designing the CBTU event registration software for the past two years. However, this year we attended the conference as an exhibitor and thoroughly enjoyed the chance to speak to inspiring and hard-working individuals. In addition, we also gained extremely valuable insight to ensure positive results. 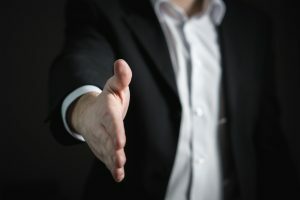 Are you interested in participating in a trade show/ conference? Or have you already attended and you’re wondering how to achieve greater results? Take a look at some of our tips for generating the greatest return on investment at trade shows. Something as small as pens on the table attracts attendees and sparks conversation. As small as this gesture may seem, everyone could use a pen – especially when it’s free! Giving the attendees an item that displays your brand name or logo, increases brand recognition and recall, as they are constantly reminded of the brand name and more likely to reach out in the future. Incentives vary depending on what kind of business you are, nonetheless, they are still beneficial. Try offering a discount off your services or a contest to win a product for those who fill out your web form or leave their business card. You can either draw one winner or select a few – either way you have gained a significant amount of leads and they will be more motivated to use your services or buy your product in the future. Get your brand name out there and make it memorable! Having as many items that display your logo and/or brand name will make it that much more interesting and easier for attendees to recognize and recall. Conferences and trade shows can be long and repetitive – make it more interesting by providing interactive material. For example, as a web and app development company, we wanted to show off the websites and apps we developed and designed for our clients. Thus, we had tablets, laptops and a monitor displaying our creative works. If you have some interactive material to show attendees, be sure to display it and stand out from the other exhibitors. Chances are, you’ll be receiving quite a few leads and business cards at the trade show or conference. However, the attendees will be speaking to a lot of exhibitors as well, so be sure to jot down some information on each person you spoke to and follow-up by email or phone as soon as the conference/ trade show is complete. Terabit.ca’s Founder and President, Jamie, will be joining Media Mall in attending the Cancer Foundation’s, Cancer Champions Breakfast on May 10, 2017. Cancer is a disease that has likely touched everyone reading this post, in fact; according the Canadian Cancer Society, 555 Canadians are diagnosed with cancer each day. Moreover, those of us who have been touched by cancer know what a difficult time these families are going through. It is our hope that the Cancer Champions Breakfast will provide these families with some hope and joy. Since 2009, more than 2,500 community leaders in Ottawa have partaken in Ottawa’s Cancer Champion Breakfast to raise funds and awareness for local families who have had cancer affect their homes. Each dollar raised will contribute to the likelihood of these families having access to innovative therapies, treatments and clinical trials. Help us spread the word about the Cancer Champions Breakfast by creating a table of your own, or donating to our table. Jamie’s goal is to raise $1000.00, so that together we can make a significant difference in the lives of families right here in Ottawa. If you would like to donate, please click the link here– any donation would be greatly appreciated. Terabit.ca thanks you in advance for your support and we hope to see some of you there.